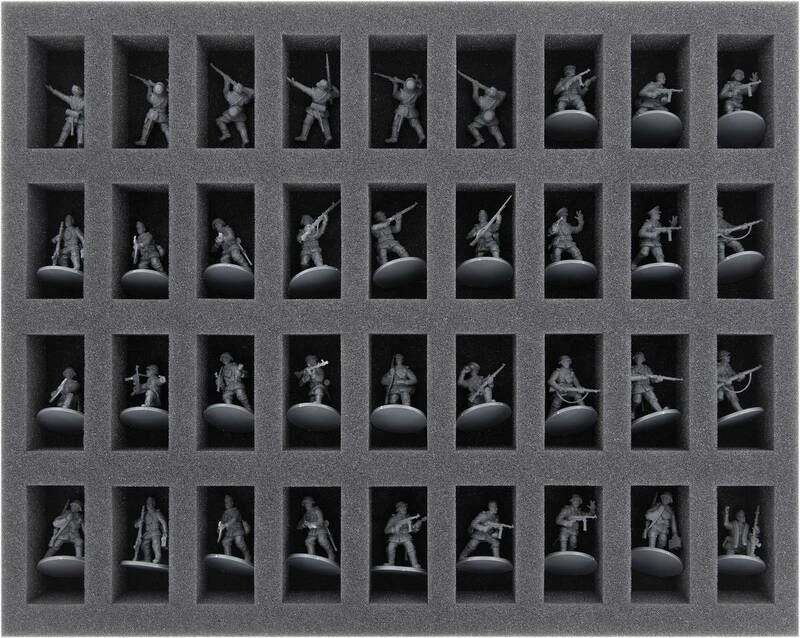 This foam tray has 36 compartments for the safe and orderly storage of your Bolt Action infantry miniatures. 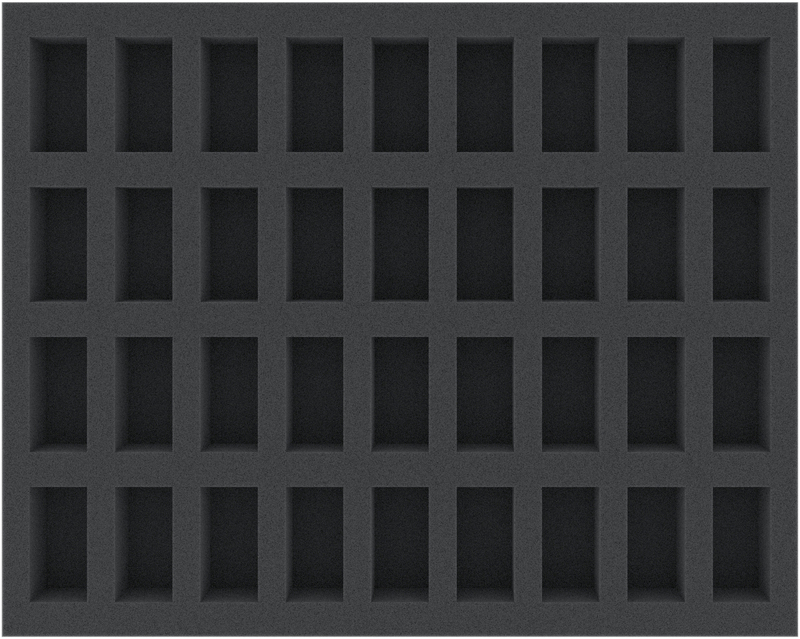 Each of the 36 compartments is 50 mm long x 25 mm wide x 25 mm deep. The tray is thus ideally suited to hold figures on 25 mm bases. The fine-pored foam offers ultimate protection against breaking parts and scratches. 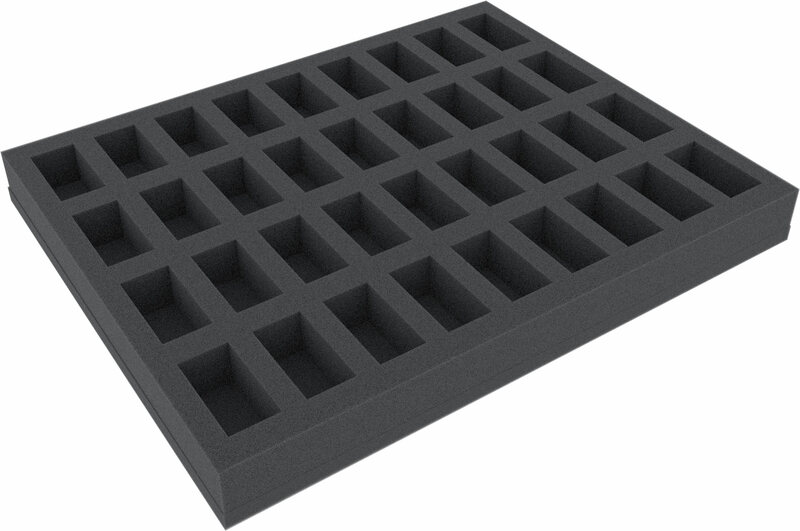 Dimensions of the foam tray: 345 mm x 275 mm x 35 mm total height (25 mm usable height + 10 mm foam base).